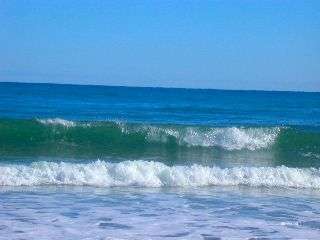 Why do Waves occur in the ocean and how do they work? sea and the wave energy traveled for days before it arrived. Q: Why doesn't a wave push a boat across the ocean? begin the circular movement thus continuing the wave until it reaches the shore. Q. Don't waves cause the tides, or the tides cause the waves? cycle, the range is much smaller. 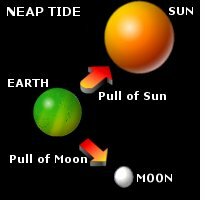 These very weak tides are called "Neap Tides." 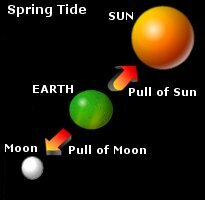 Earth is also caused by the water being thrown outward by the planet's spin. These two bulges travel around the globe, producing two high tides each day. the low tides are very low. a smaller difference between high and low tide. This is known as a Neap Tide.